Swampland and Yarra Libraries present Summer Sounds. Join us in the stunning rooftop garden of Bargoonga Nganjin, North Fitzroy Library to enjoy a series of live music performances curated by Swampland magazine and Yarra Libraries. Bring some friends and discover some amazing local performers. Racerage is a queer Blak radical, post-internet rapper based on Wurundjeri country, who has been described as "the future of Melbourne music". 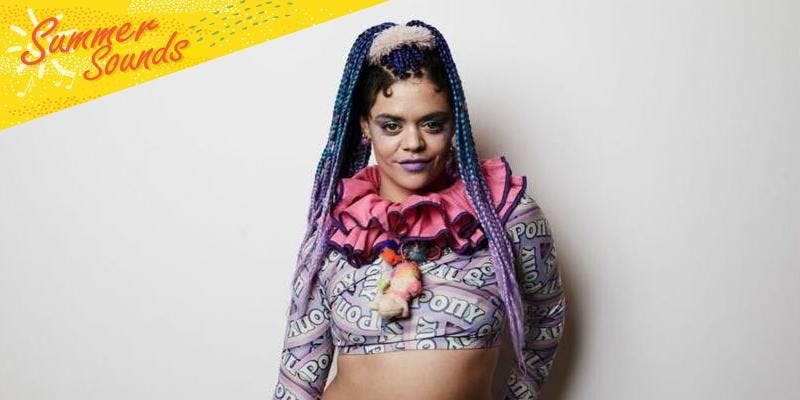 Their lyrical themes draw from their background in spoken word; focussing on the struggles, frustrations and interweb meme-ry of their lived experiences as a Blak non-binary queer. Their rhymes explore intersectional feminism, decolonisation, race issues and life in the queer bubble, sprinkled with relatable humour. Racerage collaborates primarily with other QTIPOC beatmakers and artists and is excited about creating music within and about their communities. Racerage's debut single, Diamonds and Sapphires, features the frosty electronic beats of Melbourne producer YUMGOD and has received airplay across community radio on 3CR, RRR and PBS.